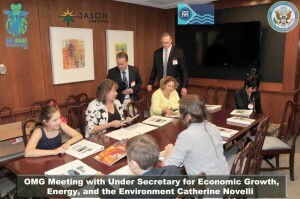 Olivia and Carter were invited back to the State Department to meet with Under Secretary Catherine Novelli to present our Plastic and Recycling Awareness Curriculum. 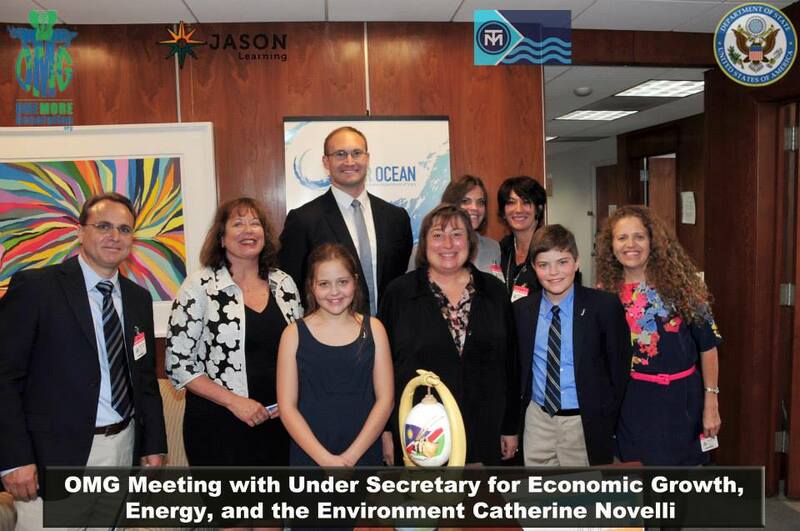 Last month the kids attended the “Our Oceans” conference and suggested that education be included in the State Departments oceans strategy. Under Secretary Novelli was intrigued and asked the kids to come and elaborate more on their work. 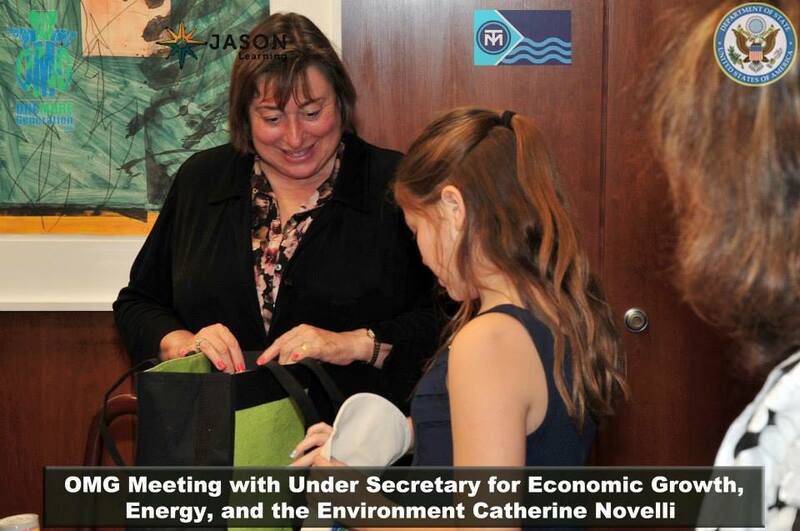 We wish to thank Sally Yozell and Catherine Novelli for taking the time to meet with all of us and for their enthusiasm about our program.